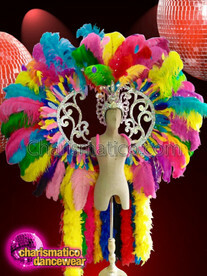 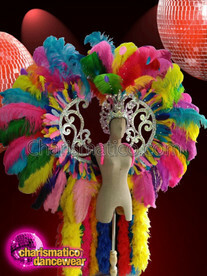 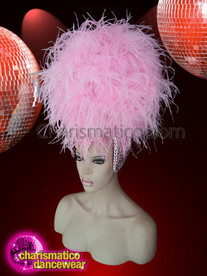 A rainbow color combination of feathers is an appeal in itself. 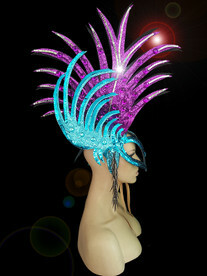 The silver chains hanging down from the crown and going around the chin gives a different look to it. 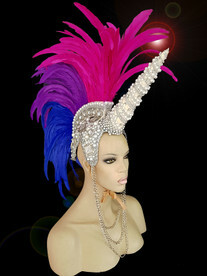 The crown and the horn with all the silver studding and pearl beads makes a stunning design.